This module changes PrestaShop's default behaviour of initially displaying all product images even when the default combination has only a subset of images selected. With this module your product page will initially display only the selected images for the default combination. The image set is also updated upon selecting a different combination. The large image is automatically changed to the first image in the subset regardless of the default image for the product, which saves you the time of changing default images when you change the default combination or its images. Does not change the URL hash for initial image update. 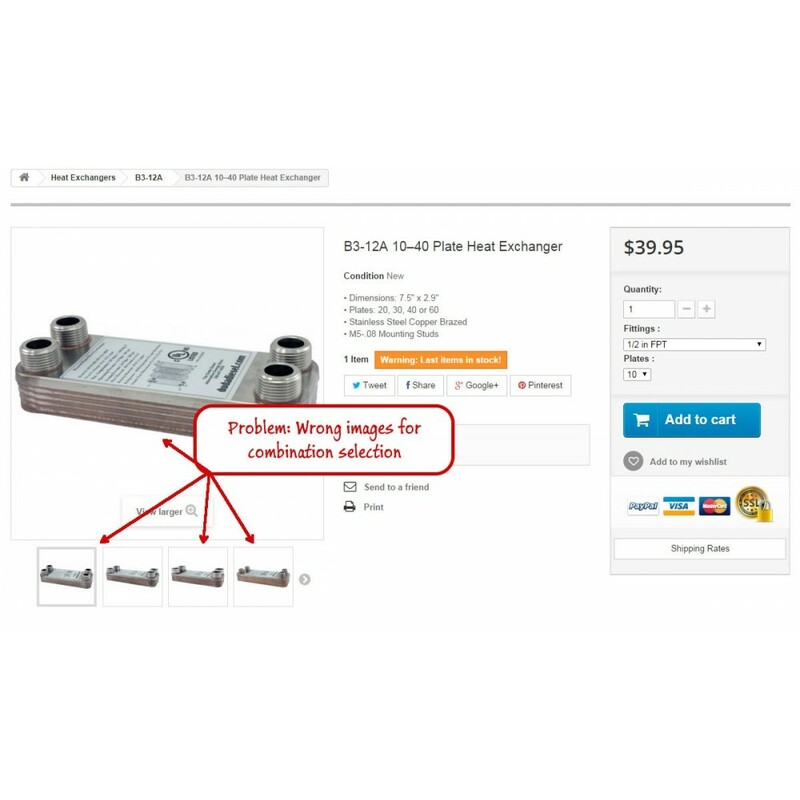 Saves you time by automatically selecting the large image so you don't have to keep updating the default product image to match the default combination image subset. 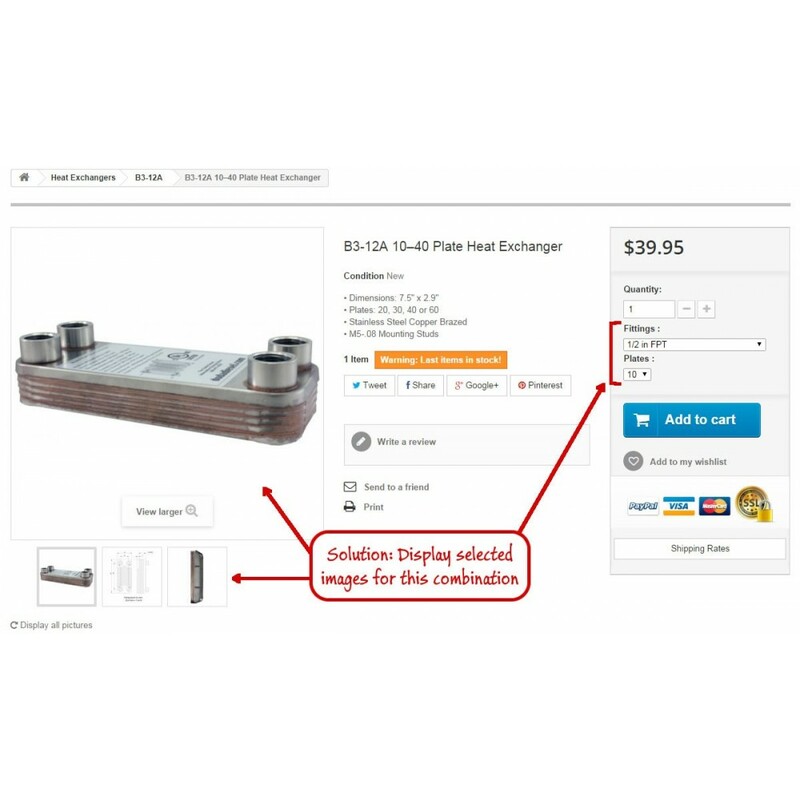 Displays the appropriate images for the default product combination when the product page is initially loaded. Add package dimensions to individual product combinations or globally to attributes for use with shipping modules. Helps in providing more accurate shipping rates. Customers see the appropriate images for the default combination. Customers are not confused with extra images for other combinations. In your PrestaShop back office, go to Modules and click the button to add a new module near the top of the page. 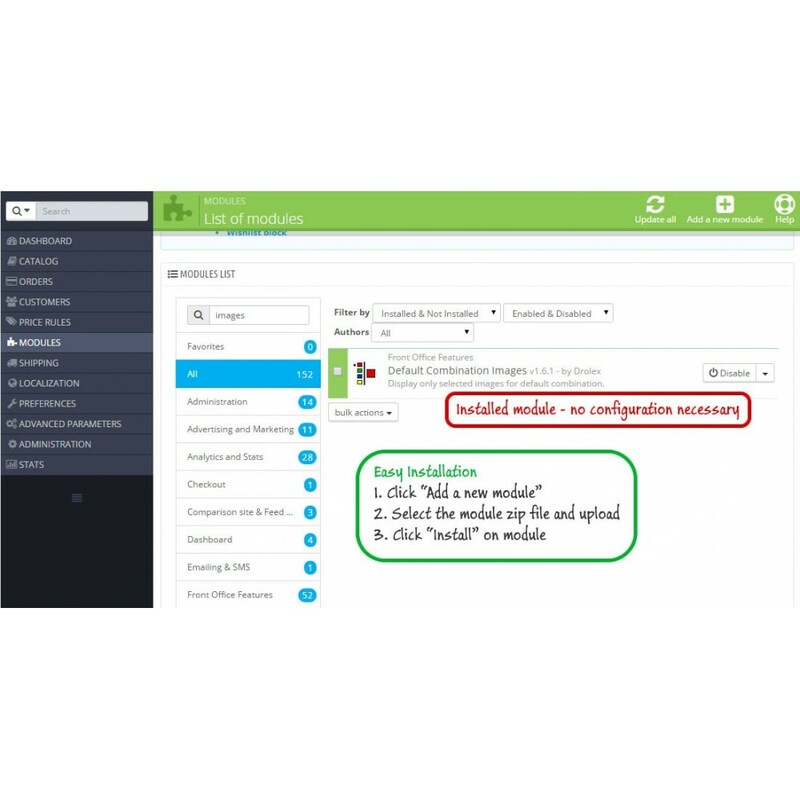 Select the module in your files and upload it. Once the module has been uploaded, just click to install it and you are done. There is no configuration necessary.